If you're a parent, you know the delicate dance it can take to make sure your kids get the shots they need to stay healthy. And with flu season bearing down on us, the struggle is about to get real once again. That idea wasn't lost on members of the Family Resource, Education and Support Hub Mayo Employees Resource Group on Mayo Clinic's Florida campus. They wanted to see if they could make getting a flu shot a little easier, maybe even enjoyable, for kids and parents by eliminating some obstacles and adding some fun. “I remember several people last year mentioned how hard it was to juggle work, school and available appointments, and they or their spouses had to take off to bring the kids in to get their flu shot,” says family physician and group member Alva Roche-Green, M.D. “I knew other employees had the same problem, including me, so we began brainstorming." 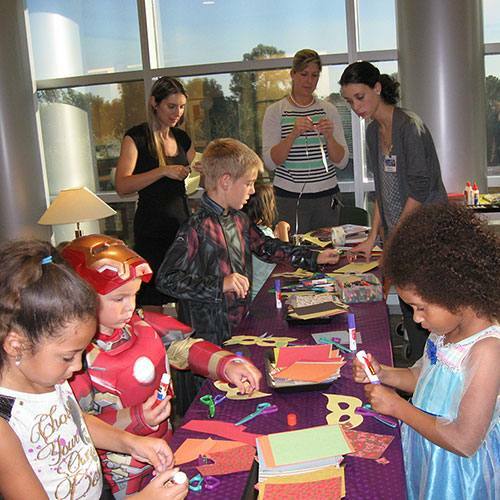 Out of that brainstorming session came the idea for a Halloween-themed "Boo the Flu" vaccination party held after hours on Wednesday, Oct. 14. The idea was to help turn a "normally frightful" thing for kids (and parents) into something more fun, and hopefully, convenient. And they tested the idea with members of the Family Resource, Education and Support Hub group and their families. 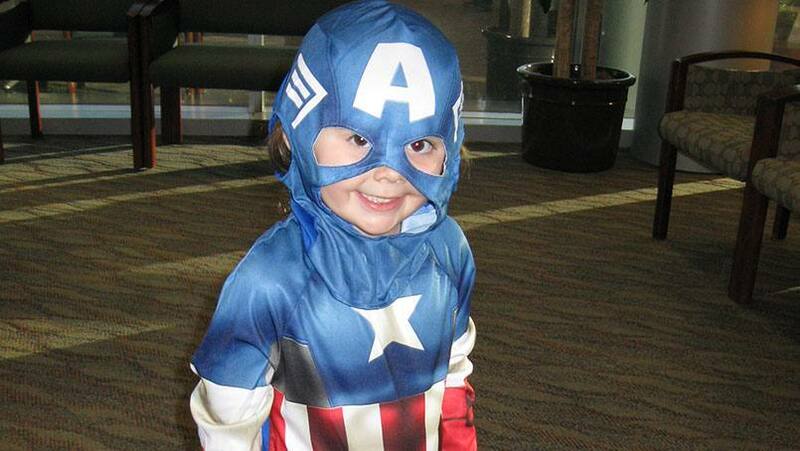 It was a team effort that was well worth the effort, according to Tammeza Gibson, who brought her daughter — sorry, we mean Captain America — to the event to get her flu vaccination. "My daughter loved it!" Gibson wrote in a follow-up e-mail to the employee resource group. "What a wonderful concept to make something so important like the flu shot fun and exciting for kids. I hope this continues on as a tradition each year." For those of us out of costume, flu information for Mayo staff is available on the Influenza Vaccination intranet site and for the public, on Mayo's website. Primary care patients will be offered the seasonal flu vaccine at their regularly scheduled visits. You can help make sure that our little tradition here continues by sharing your comments below. Then, use the handy social media tools atop this page to share this story with others.